This whimsical printed dress has a flattering cut perfect for summer. 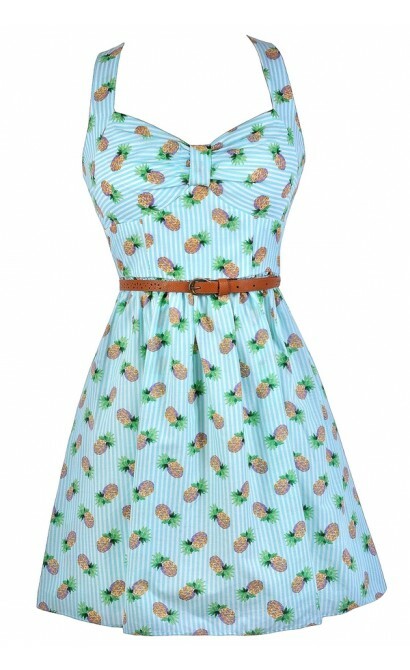 The Pineapple Delight Printed Belted Dress is fully lined. It is made of 100% cotton fabric with a sky blue and white pinstripe print throughout. 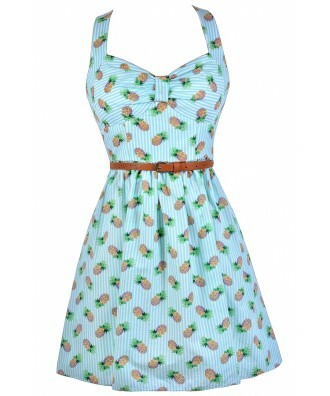 Whimsical pineapples add a fun tropical-inspired touch to this dress. This would be a cute option to wear to a Hawaiian or tropical theme party! We also love the flattering cut of this dress. It has wide shoulder straps that criss cross in the back. The sweetheart neckline gathers in the front and the lightly padded bust gives support. An included brown belt wraps around the waist, tying the look together. A hidden back zipper completes this dress. The Pineapple Delight Printed Belted Dress looks cute paired with brown wedges to match the included belt. Have fun with fashion and don't take your style too seriously this summer with this adorably unexpected look! Details: Fully lined. Lightly padded bust. Hidden back zipper. Belt included. 100% cotton. Lining: 100% polyester. Remove belt. Hand wash gentle inside out with cold water. Do not rub. Do not bleach. Dry flat. Cool iron if needed. Dry clean. Size 3 measurements: Length from top of shoulder to hemline: 34". Bust: 32". 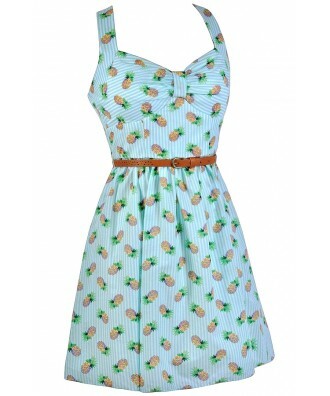 You have added Pineapple Delight Printed Belted Dress into Wishlist. 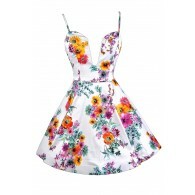 You have added Pineapple Delight Printed Belted Dress for Stock Notification. 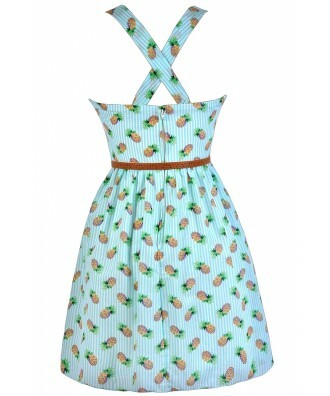 You have set Pineapple Delight Printed Belted Dress as a loved product. 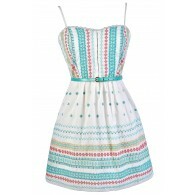 You have removed Pineapple Delight Printed Belted Dress as a loved product.